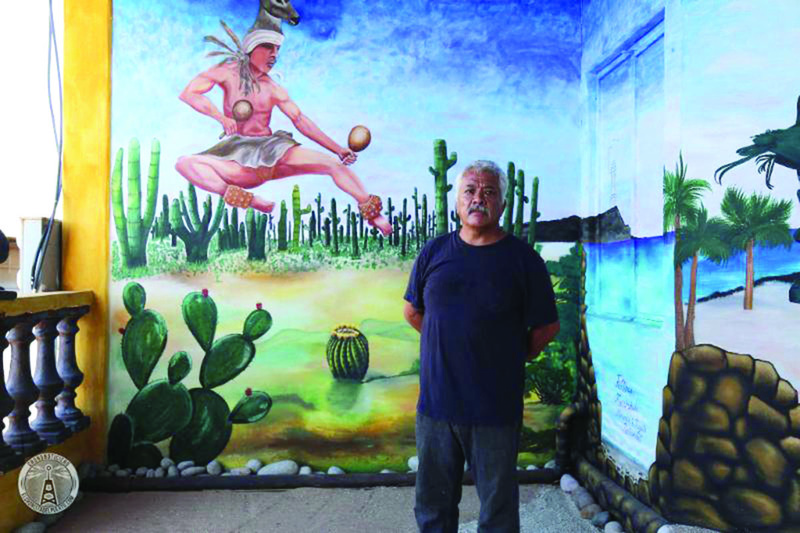 The Cholla Mall, Shack’s 5th Avenue, or Rocky Point Rodeo Drive; No matter what you call it, the shopping area popular with tourists for numerous curios stores has gotten a facelift, courtesy of some of Puerto Peñasco’s very talented local artists. 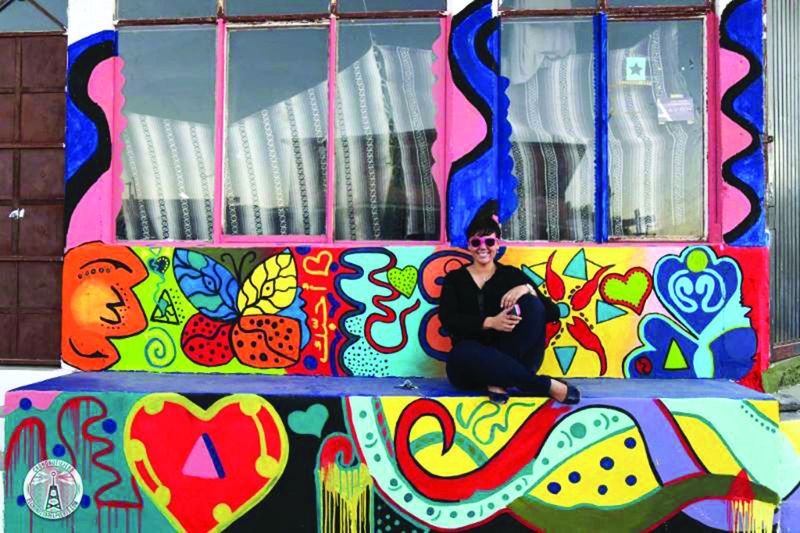 Faded paint and graffiti have given way to beautiful, hand painted murals, and the results are nothing short of amazing. 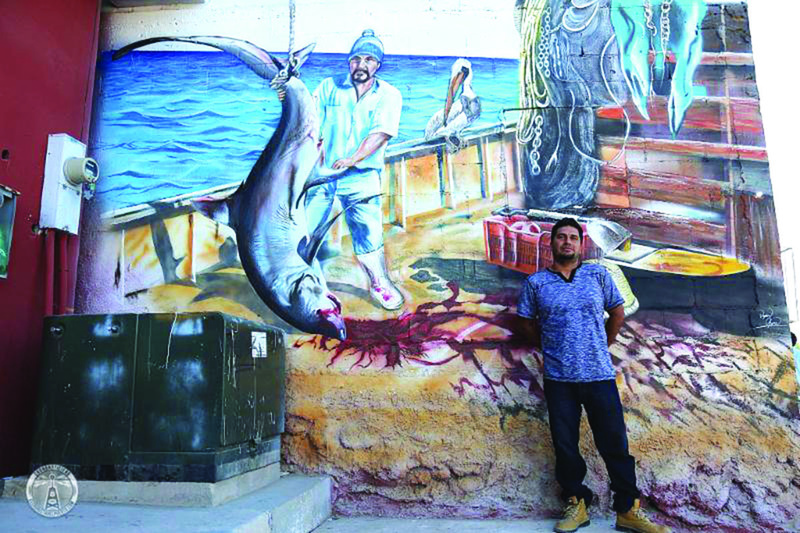 The undertaking, organized by Ellie Balderrama, Eddie Wharez and Erick Plata, surpassed expectations of most of the people involved and attracted attention from tourists and locals alike as the murals were being created. 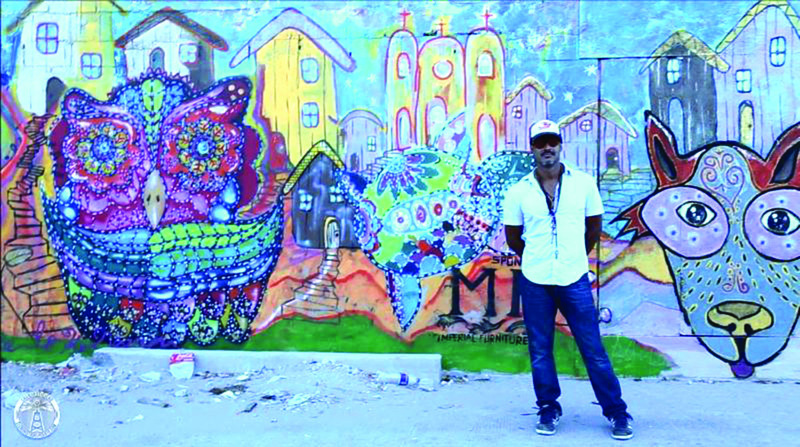 Social media attention for the project took off as well with thousands of “likes” on Facebook. 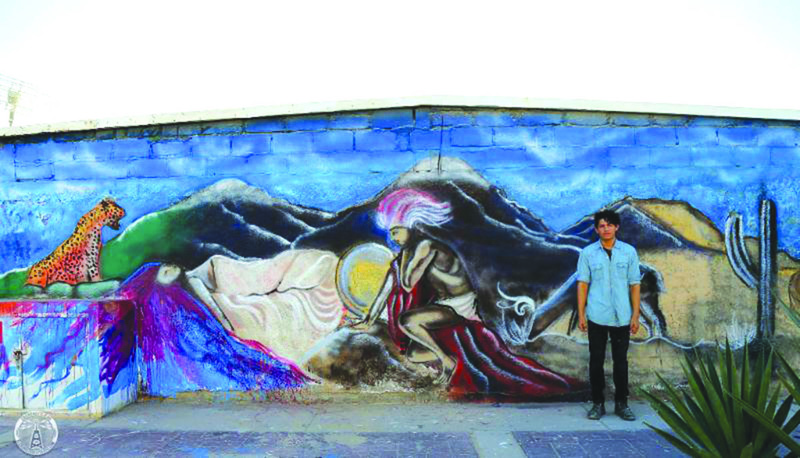 Tied for First Place were Izrael Ríos for “Men of Sand” and Gabby Gómez with “Indigent”. Each received $7000 pesos for the win. 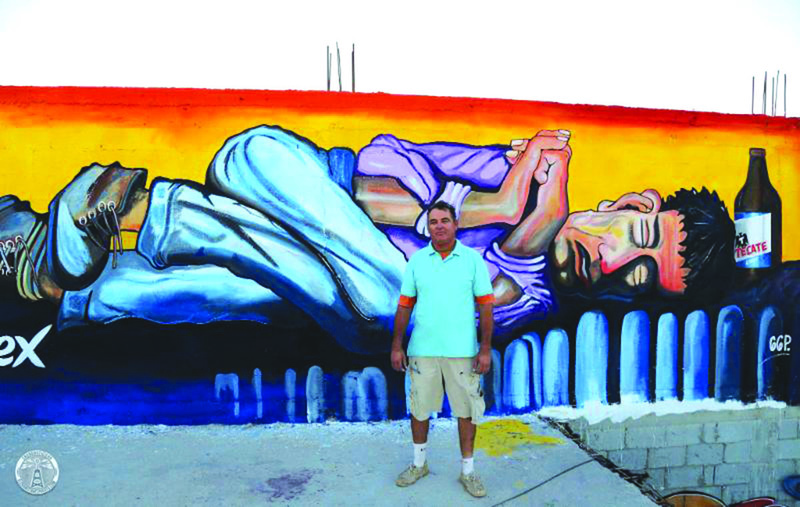 The second place prize of $5000 pesos went to Héctor Arvizu for his “Lion Fish” mural, and Gloria Núñez was awarded $4000 peso as third place winner for “Frida and the Alebrije”. This article is brought to you by the Sonoran Resorts Sales Team, www.sonoranresorts.mx, Jim Ringquist, Director of Sales and Marketing.